The secret is out! It’s about the DOT. It only takes a little of your time to look younger. SmartXide DOT will help your skin regain its tone during the treatment as well as reducing the appearance of wrinkles, small and large acne scars, and dark marks on your hands and face. 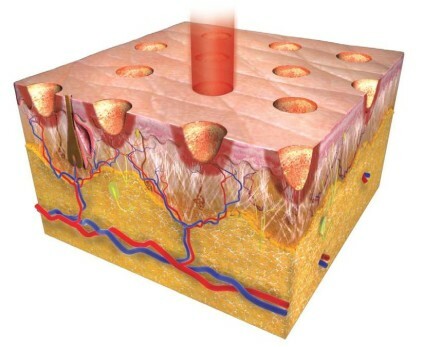 SmartXide DOT uses a CO2 laser system on an electronically pre-set network of points, without removing the entire skin surface as with other systems. Skin redness following the treatment only lasts a few days, not months like before, and it can immediately be masked with cosmetics. How does the SmartXide DOT work? SmartXide DOT is a fractional CO2 laser system.CO2 lasers are the most powerful systems on the market, capable of amazingly good results. The light associated with CO2 lasers is able to stimulate skin rejuvenation, only hitting small areas in depth thanks to the SmartXide fractional DOT technology. It also eliminates the usual rejuvenation side effects such as pain, scabs and swelling. Does it hurt? Will I need an anesthetic? The only sensation you can expect is a slight “stinging” that only lasts a fraction of a second. Compared to traditional treatments with CO2 lasers, the DOT method now enables a significant reduction of after-treatment pain. The treatment is safe and effective, meaning that it can be used for every part of your face, neck hands, even with the finest most delicate skin-types. There’s no need for an injection, just an anesthetic cream for more sensitive skins. Who is the SmartXide DOT treatment suitable for? The SmartXide DOT treatment is suitable for everyone and all skin-types. Special care is only required for those who like tanning often. What precautions are necessary after the treatment? Thanks to the DOT fractional technology, post-treatment redness only lasts a few days and can be easily covered with cosmetics. The only precaution is to use a suitable sunscreen for a short period of time after the treatment and avoid sun exposure. Are there any unpleasant side effects after the treatment? You may experience a sensation similar to what you feel after your first day in the sun on the beach, as well as a slight erythema for a few days. Your doctor will recommend the right creams to use to ensure your skin is moisturized. When will the first results be visible? The majority of patients observe increased skin tone even after the first treatment. You may also notice that your skin marks have faded after one single treatment, though two may be necessary to see these effects. Your doctor will work out the best program for treating deep wrinkles. 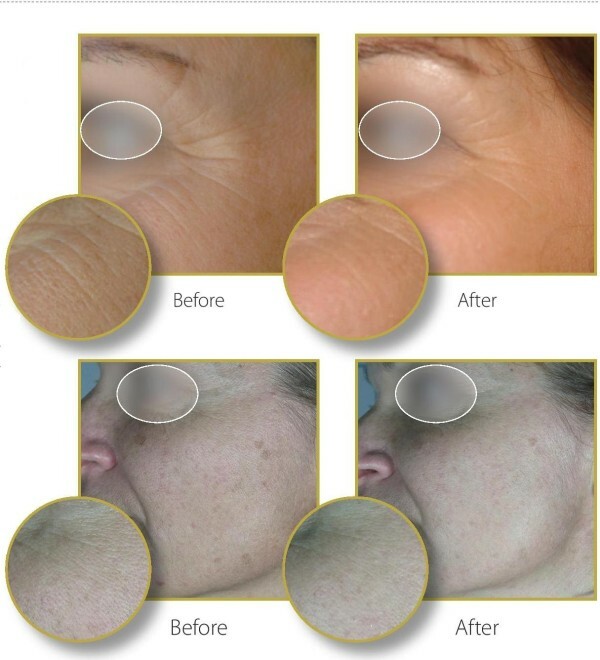 As the laser stimulates the production of collagen you will notice a progressive improvement of your skin for at least six months after your last treatment. All the changes in your skin obtained with SmartXide DOT are permanent. Nevertheless, the beneficial effects will gradually diminish with the natural ageing process. Remember that smoke, alcohol, excessive exposure to the sun, and poor eating habits all accelerate the ageing process. Can I repeat the treatments? There are no contradictions against repeating the treatment program with SmartXide DOT. In a few years’ time, with minimum time investment, you will still be able to obtain the results you desire.